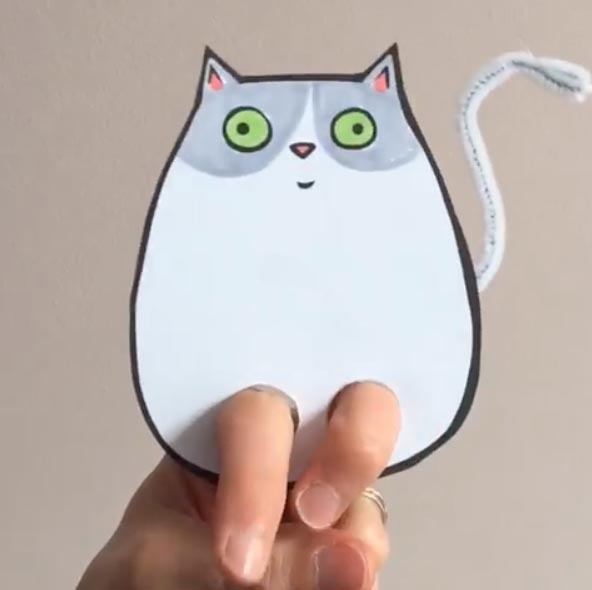 Download these free Flubby the Cat finger puppets. 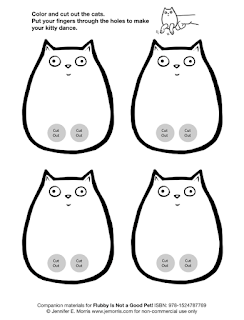 Print them on card stock and color to make your own kitty characters. 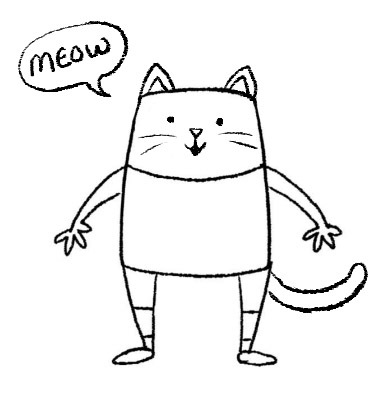 I taped a pipe cleaner tail to the backside of mine. If you are making a class sized batch, a 5/8" hole punch from the craft store works great for cutting out the finger holes. 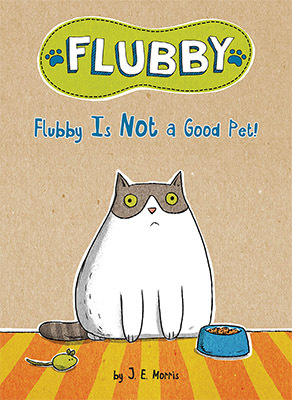 And don't forget to read these purr-fectly fun easy reader books, FLUBBY IS NOT A GOOD PET! and FLUBBY WILL NOT PLAY WITH THAT! 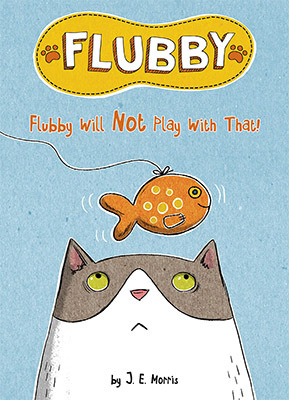 Flubby the Cat books will be available April 23rd, but don't wait, you can preorder them today. 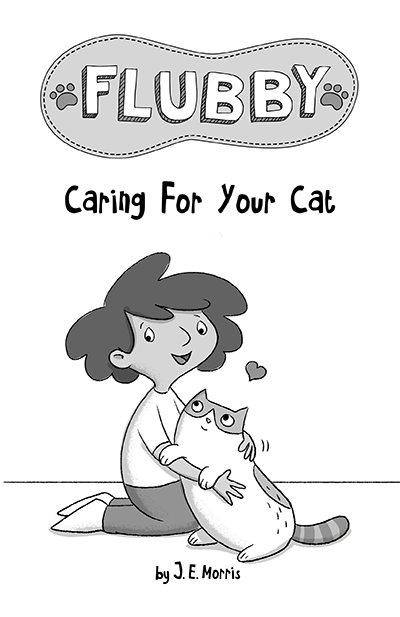 As a special thank you for preordering any Flubby picture books before April 23rd I will send you a free 16 page mini-comic download, titled Caring for Your Cat. 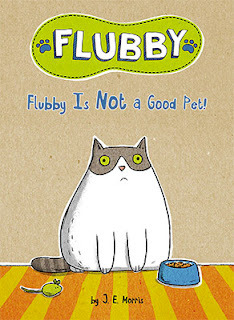 To get your own copy, just preorder FLUBBY IS NOT A GOOD PET! and/or FLUBBY WILL NOT PLAY WITH THAT! 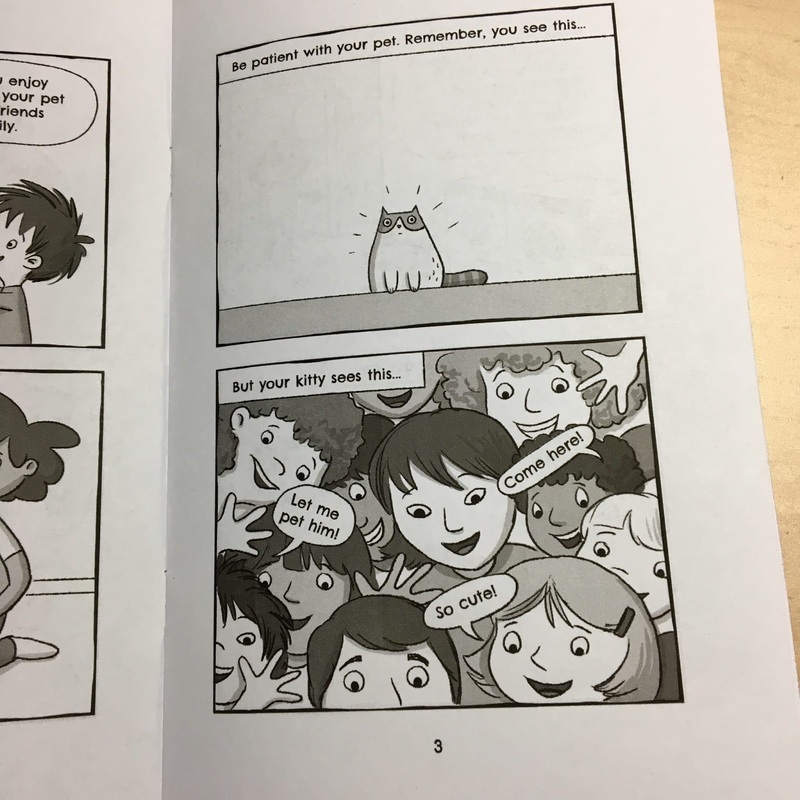 from any bookstore then email me a snapshot of your receipt. 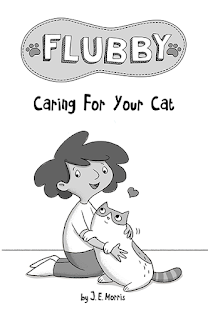 I'll send you information on how to download a PDF version of Caring For Your Cat. I enjoy crafting almost as much as I like making picture books. So last spring I made several handmade Maud the Koala plush toys. 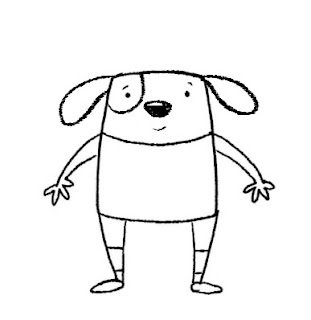 Now I need to find a forever home for Maud - she will arrive with a copy of her book, "Much Too Much Birthday". You can enter two ways. You can enter on-line by using the entry form below. If you follow me on twitter or Facebook or tweet about the contest it will increase your chances of winning. Or if you are in Boston, you can enter by filling out an entry form at my table at FanExpo Boston this weekend (Table A219) We will pick a winner on Sunday at the end of FanExpo so hurry and enter soon! 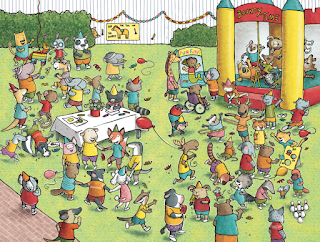 In Much Too Much Birthday, Maud Invites 56 guests to her birthday party. As you have probably figured out already 56 guests was much too much. I wanted to make every guest a different type of animal and I wanted to make sure if someone counted they would find all 56 (a decisions I was seriously reconsidering part way through illustrating this spread). I decided to stick to mammals in Maud's world because bird wings are difficult to anthropomorphize into hands and fish have their own problems. 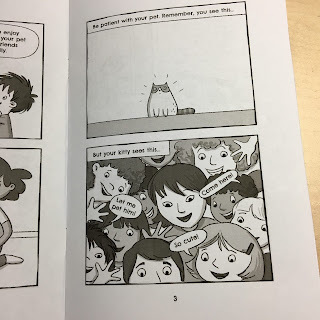 There was no particular reason for the animals I chose. Some I picked because I like the way the look like tree kangaroos and bush babies. And some I picked because I liked the sound of their name, like numbats and wombats. Some people might say wait a minute! In real life, a hippo, a horse, and a rabbit are NOT all the same size. That is true. 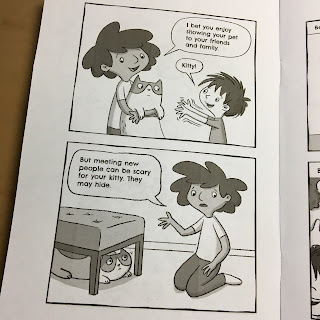 But they also don't wear clothes and play hit the pinata. 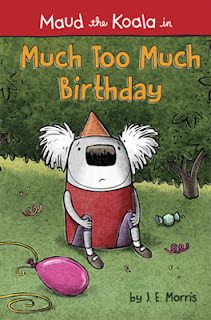 Click here to order Maud the Koala in Much Too Much Birthday. 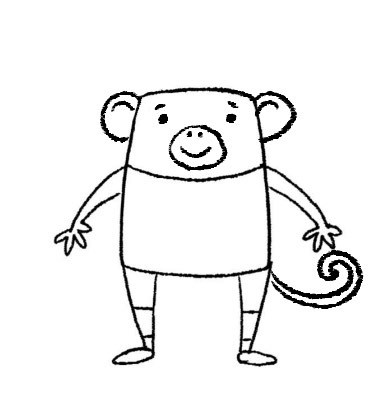 If you can draw a rectangle, you can draw Maud the Koala. If you want to draw some friends for your koala, change the ears and the nose and make all sorts of animal characters. 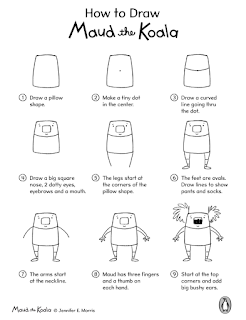 How many can you make? 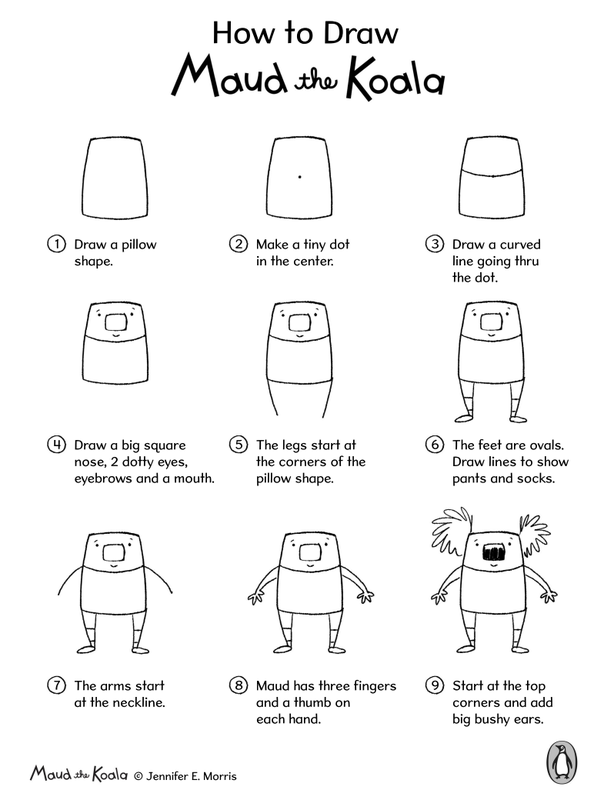 Download a PDF version of this activity page here. Scroll to the bottom for Sweepstakes info. Hurry the contest ends April 30, 2018. Do you ever find yourself with pile of felt laying around just waiting to be made into a koala? Stuff like that happens to me all the time. 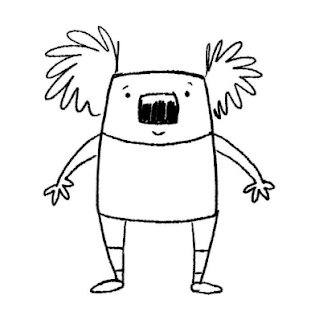 So I made this venti sized Maud the Koala. My thought was that she would be a cute table decoration at book events. I was happy with the results but I thought some tweaking of the pattern was in order so I made a smaller version - Meet Maud 2.0. She was cute and craft felt is easy to sew. Like her big sister, I filled her rump with plastic beans so she would sit well for display. 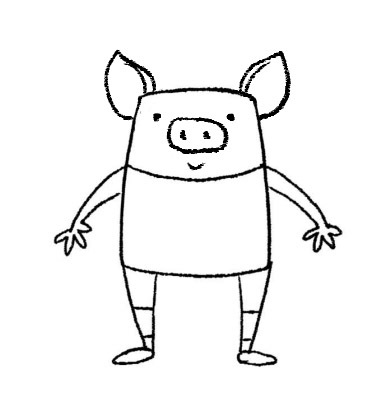 But I wanted to try and make a soft cuddly version. So I went back to the drawing board for Maud 3.0. This time I made her out of fleece for extra squish-ability and hand embroidered the eyes. I also found some fantastic faux fur at JoAnn's that made super bushy ears. 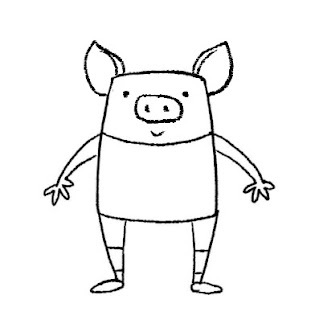 I was so pleased with this version that I made four of them. 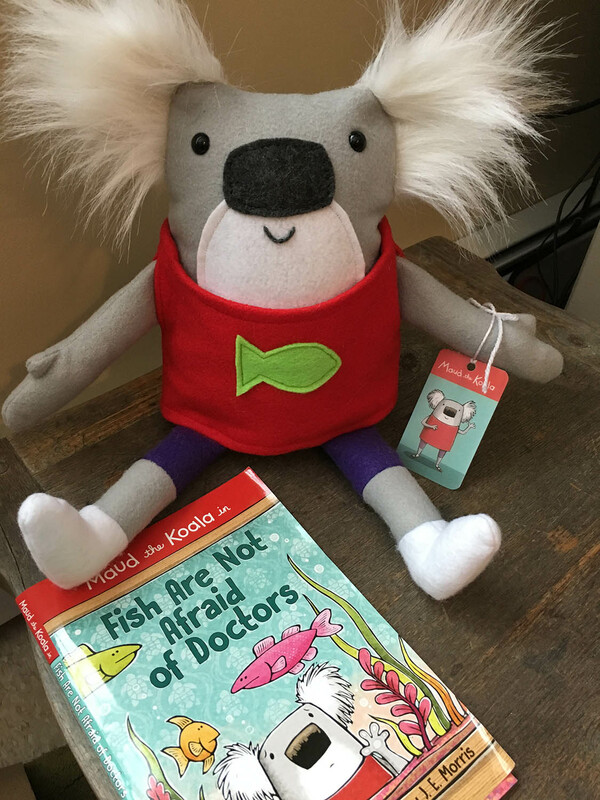 Head over to the Penguin Kids Facebook page for a chance to win one of my plush creations (You will win one of four fleece versions pictured above) and copies of Maud's new books Fish Are Not Afraid of Doctors and Much Too Much Birthday. 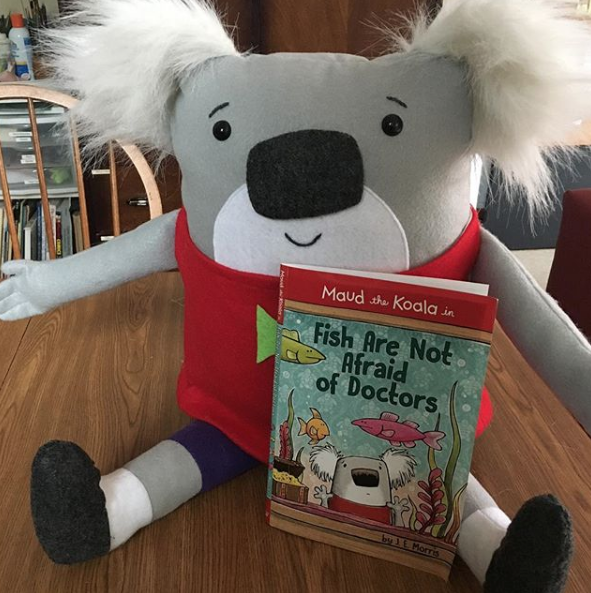 I'm so appreciative to all the people who have preordered Maud the Koala. 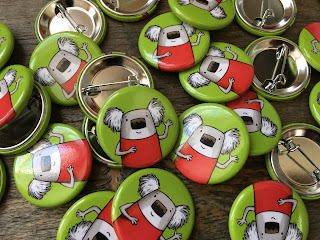 And to say thank you, I'd like to offer you one of these snazzy Maud the Koala buttons. 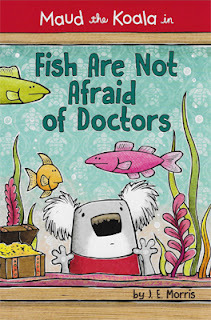 All you have to do to receive a button is preorder a Maud the Koala book (Much Too Much Birthday or Fish Are Not Afraid of Doctors) Snap a pic of your receipt and email it to me, the author, along with your mailing address. 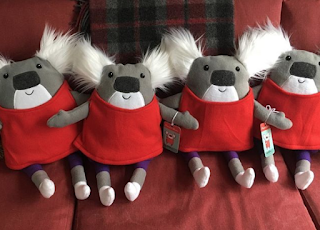 I will pop one of the "koala-ty" buttons in the mail for you. As a bonus, I'll also send you a signed book plate with a hand drawn picture of Maud that you can put in your book when it arrives. Hurry this offer is only valid while supplies (and my drawing hand!) last. NOTE: Please be careful when you send the receipt. DO NOT send me your credit card information! Buttons are 1-1/4" in diameter. 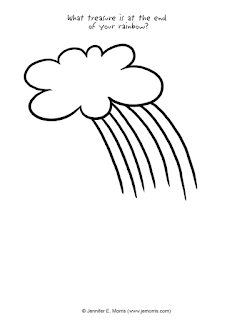 Download a free PDF version here. 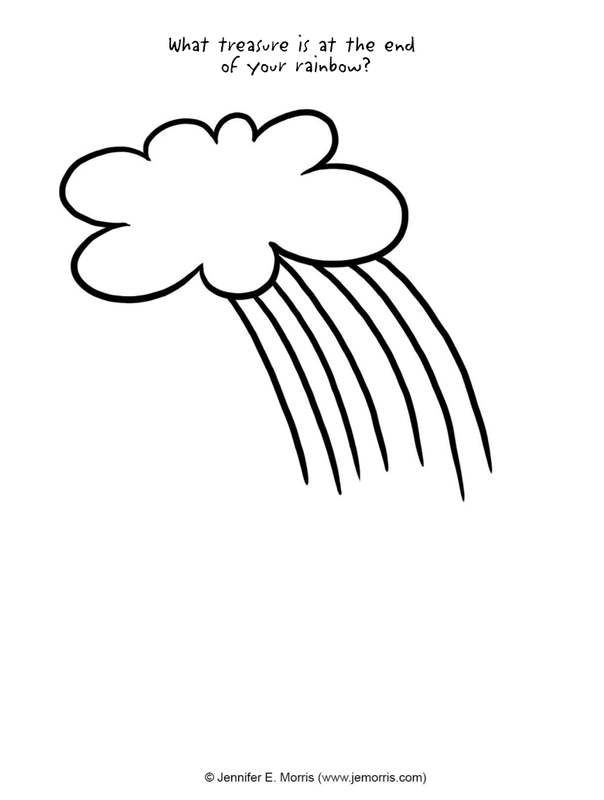 Check out my other coloring page and activities too. 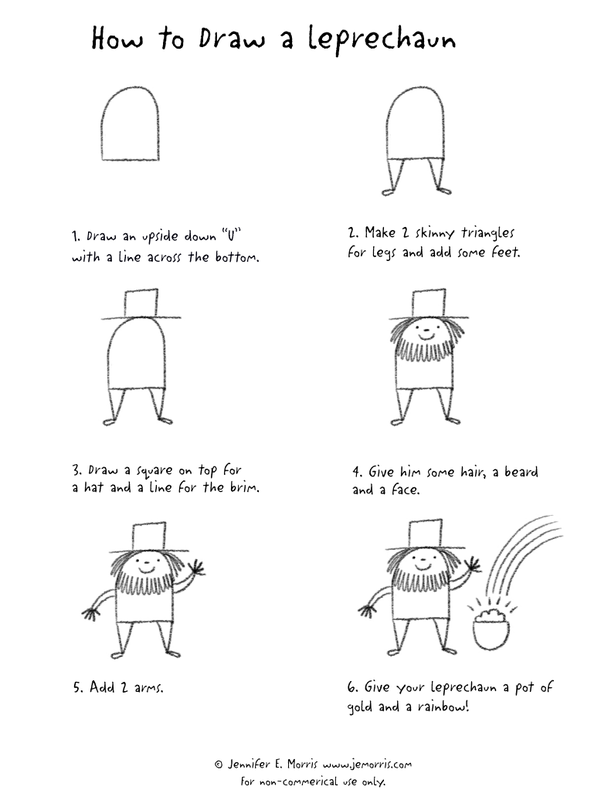 If you can draw triangles and squares you can draw an easy leprechaun picture just in time for St. Patty's day. 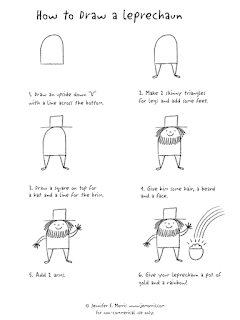 And check out my other learn to draw pages and activities. Children's book writer and illustrator. Click on the link to my website below to see more of my work.